Meanwhile I see that the RFU's mission to wind up sundry Kiwis continues to be a rip-roaring success, with Jonah Lomu this week spouting off about England showing an apparent lack of respect (that word again) by deciding to wear an all black change kit at the RWC. Frankly I couldn't give a rat's left testicle about whether Lomu or any other rent-a-quote New Zealander is upset by this. What continues to irk me is the contempt in which the RFU obviously holds the England rugby supporter in its seemingly insatiable pursuit of the consumer dollar. Still, if we continue to buy whatever the RFU tells us to, perhaps we only have ourselves to blame? 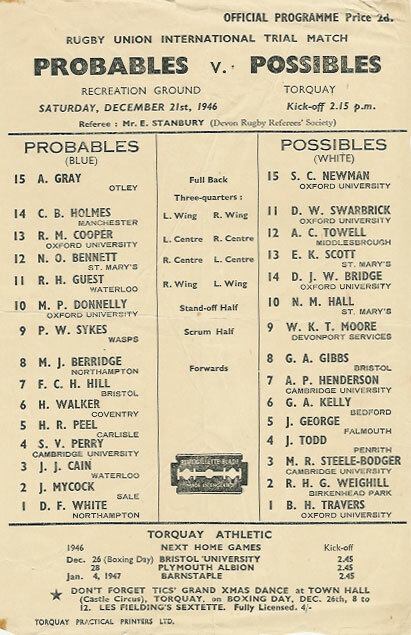 I just love the fact that, in a throwback to the amateur era, England reportedly held a "full-on" trial match at the Stoop this afternoon. 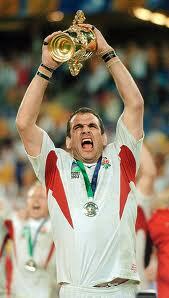 The idea, obviously, was to help Martin Johnson decide who to cull from the the World Cup training squad. 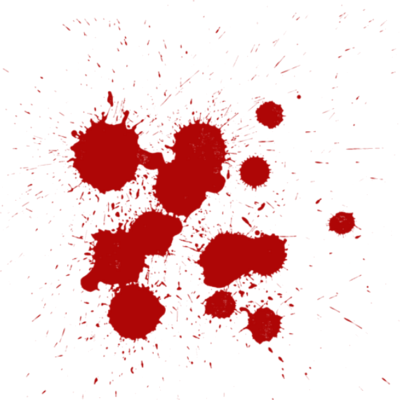 As an idea it's simple, brutal and, possibly, inspired. 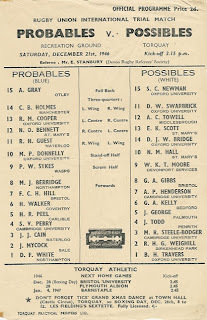 During the amateur era, annual “Probables v Possibles" trials were commonplace for international teams (with the "Possibles" being particularly motivated) and, although today's trial apparently did not conform to that particular format, I do like the idea of giving fringe players a "live" opportunity to make their case. As a youngster I always enjoyed playing in trial matches. I distinctly remember my first, as a gangly youth at the Cambridgeshire Schools Under 15 trials. From the kick off I yelled "Mine!" and took a clean catch, then won a couple of lineouts and promptly found myself in the starting XV at lock the following Saturday which, given that I really hadn't a clue what I was doing, was something of a surpise. I trust Johnno's selection process might be a little more vigorous. Shocking developments in New Zealand where the NZRU have allowed All Blacks players to wear coloured boots for the first time in their history. A number of players - Colin Slade, Jimmy Cowan, Adam Thomson and Dan Carter - wore white boots against Fiji last week while Ma'a Nonu wore bright orange and blue footwear (presumably to match his eye shadow). As everyone knows, white is and always has been the colour of the English and, frankly, I'm appalled that the NZRU would allow its players to commit such flagrant acts of disrespect, and I'd imagine the Dutch are equally appalled at Mr Nonu's behaviour . Unsurprisingly the move isn't universally popular in the Land of the Long White Cloud either, with the likes of Taine Randell and Josh Kronfeld coming out of the woodwork to condemn this brash attempt at freedom of expression. Interestingly, however, not one of the tight 5 forwards were idiotic enough to change their footwear. In comprehensively beating the South African 3rd XV this weekend, not only did they manage to put behind them last week's hiccup against Samoa and get their Tri-Nations campaign off to a great start (does anyone care? ), more significantly they also managed to reclaim the Raeburn Shield. Next challenge: 6th August vs New Zealand. The 48-11 victory for England Women's U20 rugby team over the USA in last night's Nations Cup final means that not only have the English youngsters completed the season unbeaten, but in the space of just under six months they have beaten every other international women's U20 team on the planet. Admittedly there are only six other U20 international teams (and, perhaps significantly, no New Zealand team) but you can only beat what is in front on you and it's still one heck of an achievement. Many thanks to John Birch for bringing this remarkable achievement to my attention. For those of you not paying attention, there happens to be a major global rugby tournament kicking off in New Zealand in less than a couple of months. Summary: Professionally prepared All Blacks stroll to inaugural World Cup success while the rest of the rugby world appears to treat it as an end of season jolly, particularly the English. 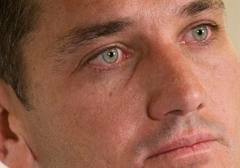 Poster boy: Michael Jones/ John Kirwan. Hosts: England, with matches also staged in France, Wales, Ireland and Scotland. Summary: England grind their way to the final only to be outsmarted by the canny Aussies. Wales beaten in the group stage by Western Samoa, prompting the comment that thank heavens they weren’t playing the whole of Samoa. 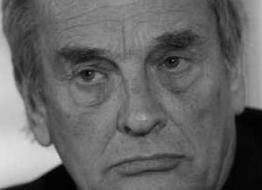 Summary: Apartheid-free South Africa take their World Cup bow. New Zealand dominate the tournament but are undone in the final by fierce Springbok defence and the alleged intervention of Suzie the waitress. Summary: Dull tournament brought to life by two stunning semi finals at Twickenham, one of which saw the previously hopeless France come back from the dead to shatter All Black hopes only to fold weakly to Australia in the final. Summary: “Is that all you’ve got?” ask the Aussie press. The answer is a resounding “yes, but it’s enough” as Jonny Wilkinson drop kicks England to a last gasp victory in Sydney, a victory from which England are yet to recover. Summary: Hosts France again stun the All Blacks, this time in a Cardiff ¼ Final. Distinctly mediocre England team somehow reach the final again before being overpowered by ruthless Springboks. Summary: All Blacks shake off the injury losses of the talismanic Dan Carter and Richie McCaw to reach the final but are undone by a breathtaking display of running rugby from the resurgent English. Poster boy: Mike Tindall (OK, OK it’s getting silly now). In naming its squad for Friday's one-off test against the All Blacks the Fiji Rugby union has managed to avoid, or at least put off, a major diplomatic incident. Lock Leone Nakarawa, a private in the Fijian Army and a member of Fiji's 35-man World Cup training squad does not feature in the squad for the Dunedin test, which is just as well, as he is barred from entering New Zealand owing to his military connection. The New Zealand government has refused visas to members of the Fiji military and their families since Commodore Frank Bainimarama seized power in a military coup in 2006. 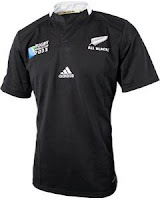 While in some ways it is admirable that the New Zealand government is taking a stance against what is in effect a military dictatorship, the issue is unlikely to go away before the Rugby World Cup and, ultimately, something has to give. 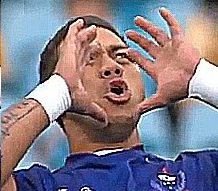 Either the New Zealand government relents or Fiji are forced to send an arguably weaker squad or, in the worst case scenario, pull out of the tournament. The intervention of the IRB has, predictably enough, achieved nothing - although secretary general Mike Millar continues to suggest that Fiji will take part and will have a "competitive" team, whatever that means. It's not as if this is new to Fiji. Back in 1987 at the inaugural Rugby World Cup the participation of the Fijian team was in doubt until the very last minute. A military coup led by Army Colonel Sitiveni Rabuka, a former test rugby player, had taken place shortly before Fiji's first match against Argentina and the Fiji team arrived in New Zealand only after the new regime had given the tournament its blessing at the 11th hour. In 1987 Western Samoa were put on alert to take Fiji's place if the worst should happen. This time it would be Uruguay. Let's hope common sense prevails and it doesn't come to that. According to reports this week in the Daily Fail, former supermodel Caprice Bourret has split from her 'Irish rugby-star' boyfriend Roger Wilson. I am ashamed to admit that I have clearly dropped the ball on this one. I had no idea that Mr Wilson and Ms Bourret were 'courting' and little did I know, when getting a tad confused about Biarritz’s recent signing, that I would soon be stumbling across a 'proper' rugby connection for the 39 year old model. In a bid to redeem myself I have subsequently conducted extensive research (aka a quick scan through Google) to reveal that the Northampton and former Ireland flanker and the former Maxim International Woman of the Year had been an item for some 3 months, having been fixed up initially by Ben Foden’s other half, Una Healy. As far as managing expectations go, Australia coach Robbie Deans has pulled off something of a masterstroke. Anyone getting carried away with the Queensland Reds winning the Super-Duper 15 was swiftly brought back down to earth after the Wallabies' 32-23 defeat to Samoa on Sunday. 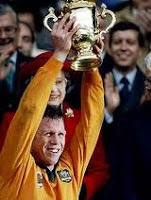 All Deans has to do now is ensure his team capitulates to the Boks and the All Blacks in the coming weeks to ensure that the Wallabies are firmly established as underdogs for the World Cup and thus put into operation his fiendish masterplan. Meanwhile, no one in Samoa is getting carried away with their victory. No one, that is, apart from Samoan Prime Minister, Tuilaepa Sailele Malielegaoi who, in true bandwagon-jumping-politician style, makes the perfectly rational claim that Samoa can now win the World Cup. And so it came to pass that the Wii Fat touch rugby team did engage in combat for the final time this summer in a re-match with the mighty Barbarians from Watford. And lo, the pace was ferocious and the players from both teams did throw themselves about with vim and with vigour. And the contest was played in a good spirit and in a sportsmanlike manner with due respect shown to the referee. And both teams were deserving of praise. And, alas, there had to be a winner and a loser, and the spoils did go to the Barbarians from Watford by a score of 7 tries to 6 and they were worthy champions. And the Wii Fat team reflected thereafter that they should be proud of their efforts this summer and the words “not bad for a team of kids, women and old men” were uttered. 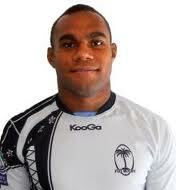 And the player known as Total Flanker is verily now barely able to move as he did strain a stomach muscle. I feel I must apologise. In recent days this blog has descended into farce as I have made somewhat clumsy and unsuccessful attempts to satirise certain goings on in South West London. The fact is that the RFU has become an utter parody of itself such that any attempt at satire is doomed to failure. This is (possibly) my last word on the matter. In a further shock development at the RFU it was today revealed that the Twickenham Stadium is now facing a vote of no confidence. In a booze-soaked after hours lock-in at a West London public house last night, a group of influential RFU Council members are said to have put the world to rights following the leaking of a 97 page report by Jeff Judge Blackett which concludes that the Twickenham Stadium has palpably failed in recent years in its role as England’s 16th man. 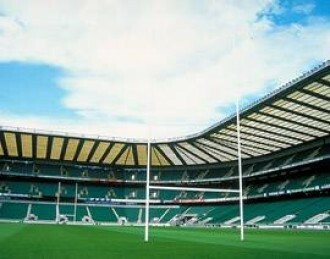 It is believed that the 58-strong Council will demand, at an emergency EGM to be held later this week, that the Twickenham Stadium stands down as home of English rugby with immediate effect, a move which will leave the RFU with no permanent CEO, no chairman, no performance director and now no stadium. However, in a move certain to cause further controversy, it is also understood that the RFU Council will authorise Bill Beaumont to do "whatever it takes" to persuade the Millennium Stadium in Cardiff to resign its position with the WRU to become England's national stadium and, despite the objections of the WRU, the Millennium Stadium is expected to arrive for talks in South West London at the end of the week. Further trauma at Twickenham after it emerged today that Doris Micklewhite, head tea lady at the RFU, will be leaving her position at the end of this week. The shock departure comes after another emergency EGM was called today by the RFU Council following a damning report by Judge Jeff Blackett into the quality of biscuits being served with tea at HQ. The 58-strong council heard evidence that for the last 3 months Mrs Micklewhite has, in a misguided attempt to stay within budget, been serving Asda own-brand digestive biscuits rather than the Fortnum & Mason variety to which council members have become accustomed. It is understood that Mrs Micklewhite’s fate was decided by a cabal of disgruntled council members over port and cigars at a West London Chinese restaurant on Sunday evening. It is believed that Mrs Micklewhite’s role will now be performed by acting CEO, Martyn Thomas. So, as predicted, Martyn Thomas has been forced to resign as chairman of the RFU at today's AGM at Twickenham. The announcement comes following publication of Judge Jeff Blackett's damning report into the Steele-gate/ Woodward-gate affair, a report which apparently called for Thomas's resignation as well as nine other non-executives on the management board. And so the blazers in the curry house have had their way, leaving the RFU with no permanent chairman, no permanent chief executive (although bizarrely Thomas will continue as acting CEO) and no performance director. And all less than 9 weeks before the World Cup kicks off. Even by the RFU's lofty standards this is spectacularly inept. 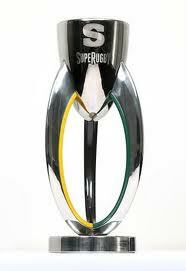 Well done to the Queensland Reds for their victory over the Crusaders in the final of the Super Duper 15. I'd wager that not many had the Reds down as potential champions at the start of the campaign. I must admit that for some time now I've had a nasty feeling in the pit of my stomach about the Aussies and the 2011 World Cup, a feeling that just got one heck of a lot bigger. Could this victory for the Reds be the start of something big for Australia this year? The brown stuff could be about to hit the fan yet again at the RFU as chairman Martyn Thomas faces a possible vote of no confidence at tomorrow's AGM for his handling of the John Steele Woodwardgate fiasco. Apparently the AGM will consider the findings of an inquiry led by Judge Jeff Blackett who, having interviewed all the relevant parties (including Sir Clive), has compiled a 52-page report. The Telegraph reports that, in true kangaroo court style, a group of unhappy alickadoos council members will discuss their grievances and plot strategy at a West London curry house this evening. 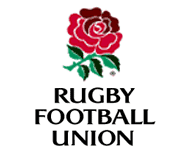 The outcome could be a vote of no confidence which, if the 58-strong# council were to pass, would undoubtedlly plunge the RFU into turmoil. And with no more than 2 months to go before the Rugby World Cup starts, the timing could not be better. # so in fact there are 58 old farts, and not 57 as most reasonably-minded people believe. ...British summertime finally caught up with the Wii Fat touch rugby team as we suffered our first defeat of the season last night in very soggy conditions to the very inappropriately named Old Gits. A 5-2 scoreline more or less tells the whole story - we were, for once, very poor in defence and, much like last week (where we scraped a 2-1 victory) we lacked ideas in attack. Caps duly doffed to the opposition (apart from one particular individual who was lucky to get away with not being punched) - they were just better than we were on the night. From a personal perspective I put in plenty of effort and worked hard (fitness has clearly improved) to absolutely no effect whatsoever. And so we're left with the prospect of being bridesmaids for the second year running, a highly unlikely 18 point victory next week in the final match against table topping Watford BaaBaas being the only way we can win the competition. News that former England flanker Neil Back is to be the new head coach of the British and Irish Lions is quite a surprise. Back, who quit as head honcho at Leeds Carnegie following relegation from the Premiership last season, will be joined by England Sevens legend, Ben Gollings who will act as the Lions’ backs/attack coach. …hang on a sec. What? RUGBY Lions? …National League 3?...Really? 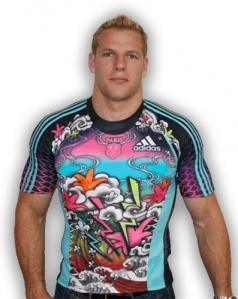 I note with interest the fact that on the all new singing & dancing South African World Cup shirt (for technical blurb please see comments on the Scotland version below) the Springbok symbol has disappeared from the front. 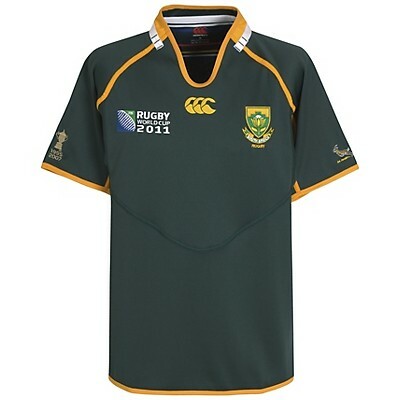 Admittedly the Springbok does still make an unobtrusive, almost apologetic appearance on the sleeve of the shirt and it may be that the explanation is nothing more sinister than something having to make way for the RWC logo on the front. However, while I acknowledge that I am possibly one of the least qualified individuals to be blogging about South African politics, I do wonder whether the Springbok will ever make it back to front of shirt prominence? 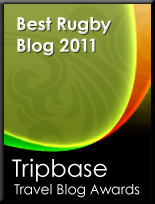 Ireland for the Rugby World Cup. Decked out in their new Puma shirts, made using an innovative 'four-way stretch' fabric that allows unrestrictive body movement and is engineered to wick away moisture to help regulate body temperature and therefore improve player comfort, the Irish now have to be favourites. Those clever chaps at Puma tell us that the new shirt works with the body during exertion providing compression to support muscles and improving blood circulation and, furthermore, the control panel on the chest takes the shape of the basalt columns that make up the Giant's Causeway for extra support when on pitch! What more can you ask for? Ireland for the World Cup.